Our many years of IT experience have taught us that you need to be able to trust the IT products we choose, for the long haul. Through countless installations and configurations we have come to trust the brands listed below and recommend them to our clients without hesitation. We list them here in alphabetical order. We have come to count on Cisco network components like switches and wireless access points. Cisco equipment is very reliable and manageable and is an important part of building a stable network envrionment. Every IT environment needs power to operate and computer equipment does not react well to power brownouts and blackouts. So we use CyberPower UPS (battery backup) devices to keep the lights on when hydro power goes down. Many of the products created by the modern workforce are digital and most of these products are stored on hard drives; which are susceptible to failure. Our answer to this risk is a bulletproof disaster recovery system from Datto. We'll backup your data each and every hour and safely store an extra copy in a Canadian data centre. We believe in maximizing the efficiency of your workflow and providing your staff with an ergonomic computing environment. Ergotron products adapt technology to the physical needs of each individual. This creates a work environment that promotes wellness while improving productivity. We have been believers in Lenovo products for over 12 years now and highly recommend their desktop, laptop and server computers. We find their designs innovative, reliable and a great choice for business users. Their breadth of products means we will be able to find just the right device for your unique work situation. Apparently we are in the paperless era but occasionally we still need paper to communicate a thought. For those times we recommend Lexmark printers. They offer reasonably priced desktop, multi-function and colour printers to meet every need. The world runs on Microsoft software. From servers, databases, email and desktops their software does it all. And now with the advent of cloud computing Microsoft Office 365 is a great way to keep your staff productive and running the latest software. As a Silver Microsoft Partner we will successfuly implement Microsoft solutions for your business. ScanSnap scanners are hands down the best desktop scanners on the market today but in fact we have been recommending these scanners for over 15 years. Our healthcare clients sing the praises of this product after they convert all their paper-based patient charts into digital documents with these amazing little machines. At the heart of every network is the router that secures the data coming in and out of the modern office. Sonicwall routers have served our clients well for over 15 years and literally almost never fail. These routers can be used to segment different user groups on your network and provide internet content filtering for your organization. We have found the very best backup software comes from StorageCraft. Their solutions allow our clients to capture complete images of their servers but also provide individual file recovery through an easy to use interface. Nobody really enjoys dealing with network cables so they invented WiFi. However not all WiFi products are created equal. 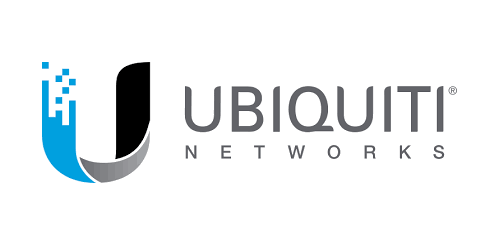 Ubiquiti WiFi access points are rock solid and deliver a great wireless experience. They make it easy to configure separate WiFi connections for your staff and guests. VMWare is a behind-the-scenes kind of technology that has quietly become one of our absolute favourites. This software allows us to take a physical server and split it into several virtual servers in our client environments. In the end it saves our clients thousands of dollars in hardware costs and dramatically reduces power consumption. When it comes to label printers we cannot recommend Zebra printers highly enough. They just work; even in harsh environments. And maybe the best part is the low cost per label. So if you print a lot of labels, in say a medical clinic, retail setting or manufacturing environment Zebra will serve you well.